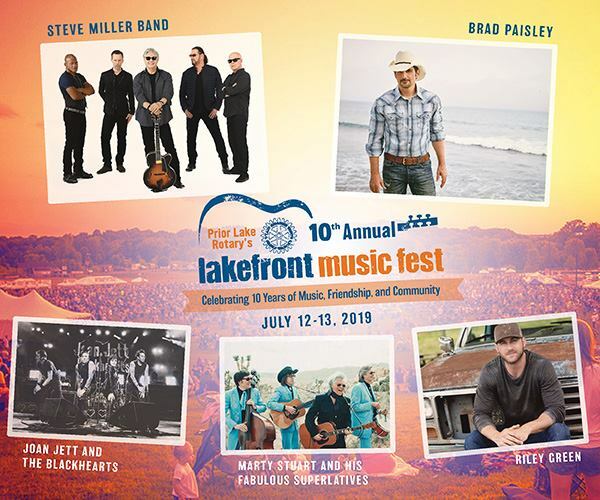 Prior Lake Rotary Club Announces Lineup for 2019 Lakefront Music Fest! The Prior Lake Rotary Club has announced it's lineup for the 10th annual Lakefront Music Fest. It's the best lineup yet to celebrate 10 years of this great community event! For more information or to buy tickets, please go to www.lakefrontmusicfest.com.